If I was working on a fixed term contract, and I wasn’t a teacher, I would be really incensed. 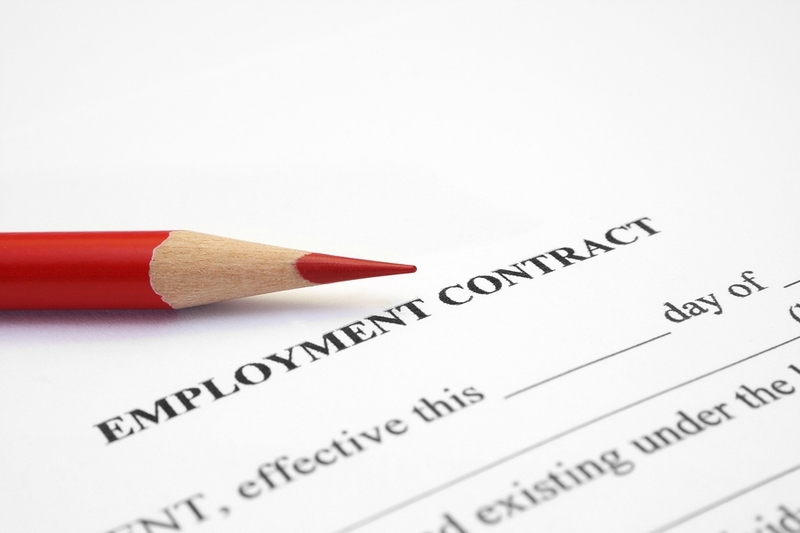 In order for a worker on a fixed term contract to be entitled to a contract of indefinite duration-similar to a permanent contract-the law states that 2 conditions must be met. Firstly, that I have been employed on at least 2 fixed term contracts. And secondly, that I have at least 4 years continuous employment in the position. (Source: Protection of Employees (Fixed-Term Work) Act 2003). But that’s not the case for teachers. Because since December, 2013 teachers only required 3 years’ continuous service to qualify for a CID (Source: Circular letter 64/2013) . And things are about to get better. 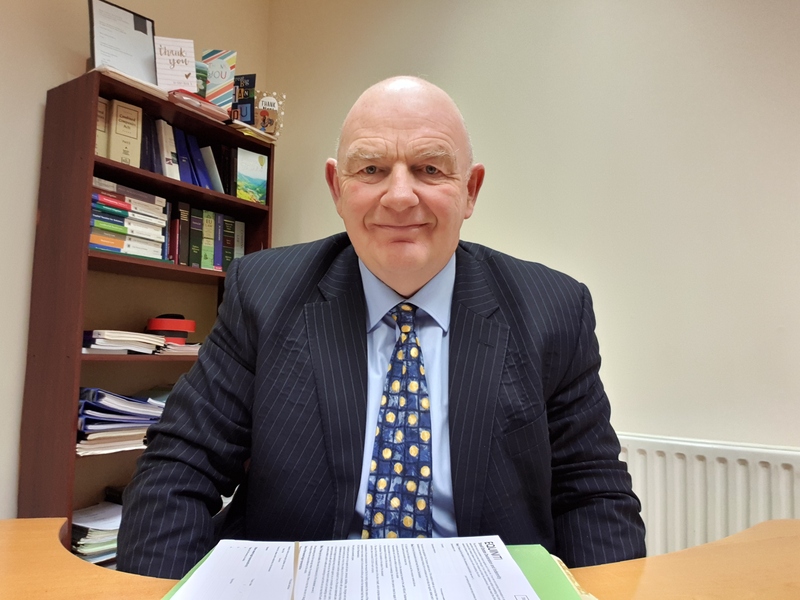 Because this week a report by an “expert group”, chaired by Senior Counsel Peter Ward, established under the Haddington Road agreement to look at public sector pay and productivity promised to make life even better for teachers. 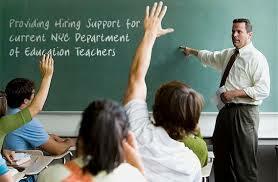 One of its recommendations is that teachers become entitled to a CID after only 2 years continuous service. So an ordinary worker who isn’t a teacher needs 4 years continuous service to qualify for a CID. A teacher currently only needs 3 years and will only need 2 years from the beginning of the 2015 school year. And it gets better for teachers. Because one of the ways that an employer can prevent an employee from being entitled to a CID is if he can objectively justify the non awarding of a CID. One way this objective justification could arise is if the employee was covering or filling in for someone on a career break or secondment. But thanks to the “expert group” this barrier won’t stand in the way of teachers. The law surrounding the entitlement to a contract of indefinite duration has been set out in Statute since 2003 with the Protection of Employees (Fixed Term Work) Act 2003. Remarkably this law hasn’t applied to teachers since December 2013. Do teachers endure such ghastly working conditions compared to other workers that this non application of the law is justified? The Minister for Education (and former teacher), Jan O’Sullivan, has agreed to implement the recommendations of the expert group. She will hardly meet with any resistance at the cabinet table from the Taoiseach or Minister for Finance who are both former teachers. Fixed term employees are employed on the same type of contract-either a fixed term contract or a specified purpose contract. A fixed term contract is one where the end date of the contract is known at the outset whereas a specified purpose contract is one which terminates on the occurrence of a specific event or cessation of a specific purpose. The Employment Equality Acts apply to all employees, regardless of their length of service. So fixed term employees are protected from indirect discrimination by virtue of their fixed term status. to prevent employers from abusing employees by employing them on a series of successive short fixed term contracts, rather than offering them permanent one. Prior to this legislation fixed term employees were protected by the Unfair Dismissals Acts and the Employment Equality Acts. The contract was signed by both employee and employer. It is worth noting that the Employment Appeals Tribunal (EAT) are quite strict on these conditions being met in order to avoid an unfair dismissal award being made against the employer. The above exclusion does not apply to dismissal during the term of the fixed term contract, provided of course the employee has the necessary period of continuous service (1 year). There is an anti-abuse provision in the Unfair Dismissals (Amendment) Act 1993 also which prevents the employer from giving the employee a series of fixed term contracts. An employee can also successfully claim for unfair dismissal if he/she has been employed on more than one fixed term contract and the gap between contracts is less than three months and the last contract was granted in an attempt to avoid liability under the Unfair Dismissals legislation. It has been held by the Labour Court that the non renewal of a fixed term contract will not, of itself, give rise to a claim of less favourable treatment under the act. The Act also provides that where an employer proposes to renew a fixed term contract the employee shall be informed in writing, not later than the date of the renewal, of the objective grounds justifying the renewal of the fixed term contract and the failure to offer a contract of indefinite duration. Generally there is a limit of four years on the length of successive fixed term contracts with the same employer or associated employer. However there is no limit on the duration of the first fixed term contract. This limitation of four years refers to “continuous employment” in fixed term contracts and this definition has been well tested as to what is considered continuous and otherwise. Section 9 deals with the definition of continuous employment within the context of the fixed term work act. Is necessary to achieve the objective. Otherwise, one of the main objectives of the legislation is to ensure that fixed term employees are given parity of treatment in respect of their conditions of employments as comparable permanent employees. and references in this Part to a comparable permanent employee in relation to a fixed-term employee shall be read accordingly. (c) the work performed by the relevant fixed-term employee is equal or greater in value to the work performed by the other employee concerned, having regard to such matters as skill, physical or mental requirements, responsibility and working conditions. The Labour Court has held that a fixed term employee does not have an automatic right to have the contract renewed on its expiry and that the non renewal of a fixed term contract will not, of itself, constitute less favourable treatment within the meaning of section 6 of the Act. The employee must be notified in writing as soon as possible of the objective condition ending the contract. 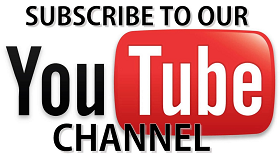 This may be arriving at a specific date or the occurrence of a specific event. The employer must inform the employee of vacancies and training opportunities to avail of a permanent job should one arise. Fixed term employees may make a complaint to the WRC in the first instance should a breach of their rights occur; the next step would be and appeal to the Labour Court and then to the High Court (but only on a point of law). The time limit is 6 months or 12 months in exceptional circumstances. Section 13 of the Act prohibits penalization of the employee by the employer for making a complaint. A fixed term employee may be redundant within the meaning of the Redundancy Payments Acts on the expiry and non renewal of his/her fixed term contract. Fixed term contracts are very common in the teaching profession in Ireland. • Teachers taking leave from the school on a career break, maternity leave, sick leave, carer’s leave, parental leave, job sharing, secondment etc. with the subsequent need for the school authority, such as the Board of Management, to find a replacement. This replacement will be given a fixed term contract. The teacher’s contract of employment will be with the managerial authority of the school such as the VEC committee or Board of Management. In the primary education sector the Board of Management of the school will be the employer, even though the teacher is paid by the DES. and approval of the Minister for Education and Skills. See also equality and discrimination in the workplace which sets out the legal grounds for schools to discriminate on religious grounds when taking on employees. • Specified purpose contract where the end date may be uncertain (such as maternity leave cover or illness cover). Fixed term contracts for teachers will normally not exceed the school year, which runs from 1st September to 31st August. It is critically important for the Board of Management to inform the teacher in the contract why they are being employed on a temporary basis, rather than being offered a permanent contract or a contract of indefinite duration, and how the contract will be determined/terminated. This contract is a Fixed-Term Contract of …. 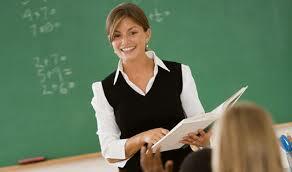 duration and is offered due to the absence of a permanent teacher in the school who is currently on career break. The contract will end on the termination of the career break. A career break can be sanctioned for a period of 1 year with annual application to renew up to 5 years. In addition, where the Board decides to renew a fixed term contract, it is vital to inform the teacher in writing beforehand why it is not offering a permanent contract and to set out the objective justification for this. This notice in writing should be given to the teacher at the latest by the date of renewal. All of the other protections and obligations arising from the Protection of Employees (Fixed Term Work) Act 2003 will, naturally apply. The Haddington Road agreement saw some significant changes brought some significant changes to a teacher’s right to a CID and reduced the service requirement from 4 years to 3. The relevant circulars are 64/2013 for Primary teachers and 0005/2014 for secondary teachers. Then, further improved conditions were introduced for teachers pursuant to circular letter 23/2015 which implemented the recommendations of the Ward Report, a report prepared by Peter Ward SC. The huge change in respect of CIDs brought about by this report and circular letter was a further reduction in the service requirement for primary and secondary teachers from 3 years to 2. Yes, 2 years’ continuous employment is all that is required for a CID, whereas if you are not a teacher you will need 4 years’ service, as explained above. Are You Entitled to a Contract of Indefinite Duration? Employed on Successive Fixed Term Contracts? A contract of indefinite duration (CID) is similar to a permanent contract but is not defined in statute. It arises by operation of law under the Protection of Employees (Fixed Term Work) Act, 2003. The Protection of Employees (Fixed Term Work) Act, 2003 provides under section 9(3) that a contract of indefinite duration will arise by operation of law if a contract is awarded in breach of sections 9(1) or 9(2) of the act. 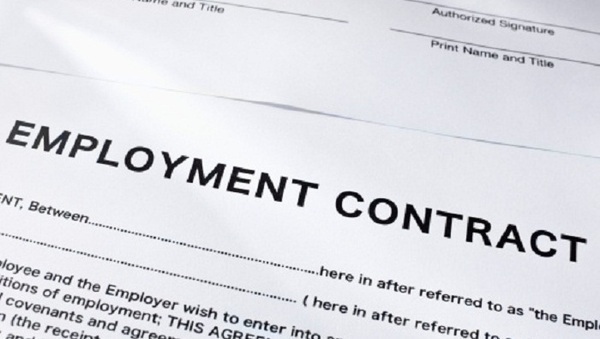 What this means as follows: If an employee is employed on 2 or more successive fixed term contracts in continuous employment for a period of 4 years then any attempt to give that employee a further fixed term contract is unlawful and void and the employee is entitled to a contract of indefinite duration. There is one major caveat here though: if the employer can justify the award of a further fixed term contract on objective grounds then there is no breach of the Protection of Employees (Fixed Term Work) Act, 2003 and no entitlement to a contract of indefinite duration. What are objective grounds justifying the renewal of a fixed term contract and not the granting of a contract of indefinite duration? 3. They must be necessary to achieve this objective. If an employer intends renewing a fixed term contract, and not granting a contract of indefinite duration, then the employer must state in writing to the employee the objective grounds for a further fixed term contract. This written notice must be given to the employee at the date of renewal at the very latest. Continuous employment is defined in the First Schedule to the MINIMUM NOTICE AND TERMS OF EMPLOYMENT ACT, 1973 and the issue of whether employment has been continuous is not entirely straightforward. The Rights Commissioner service and the Labour Court have held that breaks of up to 3 months were not sufficient to break an employee’s continuous service. Therefore it is strongly recommended that if you are an employer or employee you should obtain legal advice from a solicitor who is experienced in employment law matters. Two very interesting relatively recent cases-2011 and 2013-of the Labour Court throw further light on the entitlement to a contract of indefinite duration. The cases are DUBLIN INSTITUTE OF TECHNOLOGY AND EMILIA MIHAYLOVA (July, 2013)and REVENUE COMMISSIONERS AND WILLIAM BEARY (January 2011). 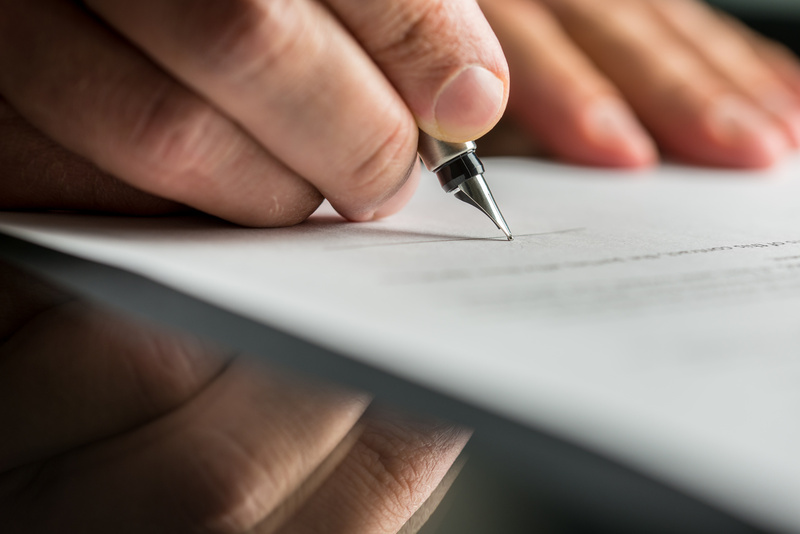 If you think you may have an entitlement to a contract of indefinite duration (CID) you should read both of these cases because they will give you a very good indication of how the Labour Court interprets the relevant legislation. In that regard it would seem that the concept of successive employment arises where a person is engaged to do the same job intermittently. Hence it could reasonably be said that where a person’s employment is terminated because there is no longer work available for him or her to do, and it is envisaged at the time of the terminations that his or her service will be required again in the future, and they are in fact re-engaged, the employment could be regarded as continuous. The fundamental effect of this provision is that all periods of employment are to be regarded as continuous unless broken by dismissal or resignation. Hence successive periods of employment, which are not continuous in the literal sense, because they are broken by, for example, lay-off or authorised absence, are deemed to be continuous. It is accordingly clear that the words “continuous” as used in the Act, has a special meaning which is different to its ordinary or dictionary meaning. As so defined the word can, in certain circumstances, have a meaning more akin to the ordinary meaning of the word successive. In that context it is necessary for the Court to consider if the Claimant was employed on a serious separate contracts, each of which was terminated by dismissal, or whether the period between contracts can be regarded as lay-offs thus preserving the continuity of the employment within the statutory meaning accorded to that term. There is authority for the proposition that the concept of lay-off can have wide ambit. The High Court, in An Post v McNeill ELR 19, accepted that a lay-off is not subject to any temporal limitation. In Irish Shipping v McAdams,Unreported, High Court, Murphy J. 30th January 1987, the Court declined to accept that the Employment Appeals Tribunal had erred in law in finding that two of the Claimants were on lay-off at a time when they were actually in the employment of another shipping line. Moreover, the Court is obligated, as a matter of European law, to interpret and apply the relevant provisions of domestic law, as far as possible, so as to achieve the result envisaged by the Framework Agreement annexed to the Directive. As is clear from Clause 5.1 of the Framework Agreement, the result envisaged by the Directive is to prevent the abuse ofsuccessivefixed-term contracts. This suggests that the Court should seek to interpret, as far as possible, the expressioncontinuous, as used in the Act, as coterminous with the expression successive, as used in the Framework Agreement. In relation to the facts of the instant case Counsel for the Respondent correctly submitted that the expiry of a fixed-term contract without its renewal is a dismissal. Hence, on the literal application of the First Schedule of the Act of 1973 there could be no continuity between one fixed-term contract and the next unless it was immediately renewed. In the Court’s view such a result would be at variance with the object pursued by the Directive and could not be adopted. The alternative and better approach is to construe the First Schedule of the 1973-2005 Act so as to produce the result envisaged by the Directive. In that regard it would seem that the concept of successive employment arises where a person is engaged to do the same job intermittently. Hence it could reasonably be said that where a person’s employment is terminated because there is no longer work available for him or her to do, and it is envisaged at the time of the terminations that his or her service will be required again in the future, and they are in fact re-engaged, the employment could be regarded as continuous. This would be to adopt an extended and somewhat more liberal interpretation of the term “lay-off” such as was done in Department of Foreign Affairs v A Group of Workers ELR 332. While s.11 of the Redundancy Payments Act 1967, which defines the notion of law-off for the purposes of both that Act and the Act of 1973, requires that notice of the employers belief that the cessation of employment will not be permanent be given, the law has long accepted that notice can be actual, constructive or imputed. For all of the reasons set out above the Court is satisfied that for the purpose of ensuring that the Act is applied in harmony with the Directive a purposive or theological construction should be to applied to the notion of lay-off in the circumstances of the instant case. On that construction where it can be shown that at the time the Claimant’s assignments ceased it was probable that the cessation in employment would not be permanent, a lay-off came into being. On this construction it could be held that constructive notice to that effect was given by virtue of the facts known to both parties at the relevant time. It is clear that on each occasion on which the Claimant’s employment ceased it was because the purpose of the contract has come to an end, either because a project had been completed or because the person for whom he was providing cover returned to work. In either case the employment ceased because the Respondent no longer had work available for the Claimant to do. Hence, the net question arising is whether the breaks in service are to be regard as lay-off or as dismissal followed by re-employment under a new contract. This is essentially a question of fact and degree. It turns on whether, at the time each assignment came to an end, it was reasonable in the circumstances then prevailing to believe that the cessation would probably not be permanent. Obviously the standard of reasonableness does not require the parties to know with any degree of certainty that the employment will resume; it merely requires that they have reason to believe that it will probably resume. Can a Lay-Off extend beyond 26 Weeks? A further question which arises in this case is whether the break of 35 weeks in the Claimant’s employment between 20th February 2004 and 26th October 2004 is capable of being construed as a lay-off. The Rights Commissioner took the view that a break in excess of 26 weeks, even if a period of lay-off, breaks the continuity of employment. The Rights Commissioner formed this view based on her interpretation of paragraph 10 of the First Schedule of the Act of 1973. Paragraphs 1 to 7 of the First Schedule relate to the circumstances in which employment is to be regarded as continuous. Paragraphs 8 to 13 deal with service which is to be regarded as computable. As already observed, Paragraph 1 of the First Schedule provides, in effect, that all service is to be deemed continuous unless terminated by dismissal or resignation. Paragraph 3 provides that a lay-off shall not amount to a dismissal. Consequently, a lay-off, regardless of its duration, does not break continuity of service. Paragraph 10 of the First Schedule deals not with continuity of service but with computability of service. The effect of this provision is that, for example, in computing the notice to which an employee is entitled under the Act of 1973-2005, periods of service while on lay-off which exceed 26 weeks are to be disregarded. It is clear that while such service is not computable, an absence on lay-off in excess of 26 weeks does not break continuity of service. This was made clear by O’Sullivan J inAn Post v McNeill ELR 19. This is a matter of considerable importance in determining if the Claimant’s case falls to be dealt with under s.9(1) or s.9(2) of the Act. It is clear that the Claimant was employed on a succession of fixed-term contracts from 1st September 2002 until 31st October 2008. The Court is satisfied that all of the breaks during this period, between the termination of one contract and the commencement of another, should properly be regarded as periods of lay-off. Hence, the Claimant was continuously employed by the Respondent, on successive fixed-term contracts, between the aforementioned dates. Since the Claimant first entered employment with the Respondent prior to the passing of the Act his claim falls to be dealt with under s.9(1) of the Act. The Claimant completed his third year of continuous fixed-term employment on 31st August 2005. The Respondent was then entitled to renew the employment for a fixed-term on one occasion only. Hence, the renewal of the Claimant’s contract for a further fixed-term on 2nd October 2006 contravened s.9(1) of the Act. Consequently, prima facie, that contract became one of indefinite duration by operation of s.9(3) unless that renewal was saved by s.9(4) of the Act. The Court must now turn to consider the question of whether the renewal of the Claimant’s fixed-term employment beyond the point normally permissible by s.9(1) was justified on objective grounds within the statutory meaning of that term. 7. (1) A ground shall not be regarded as an objective ground for the purposes of any provision of this Part unless it is based on considerations other than the status of the employee concerned as a fixed-term employee and the less favourable treatment which it involves for that employee (which treatment may include the renewal of a fixed-term employee’s contract for a further fixed term) is for the purpose of achieving a legitimate objective of the employer and such treatment is appropriate and necessary for that purpose. It is essentially a three-tiered test which requires that the impugned measure must firstly meet a “real need” of the employer; secondly the measure must be “appropriate”to meet the objective which it pursues and finally the measure must be “necessary” to achieve that objective.This test imports questions of proportionality and whether alternate means having a less discriminatory effect are available to achieve the objective in view. according to settled case-law, in determining the scope of any derogation from an individual right such as the equal treatment of men and women laid down by the Directive, due regard must be had to the principle of proportionality, which requires that derogations must remain within the limits of what is appropriate and necessary in order to achieve the aim in view and that the principle of equal treatment be reconciled as far as possible with the requirements of the aim thus pursued (Johnston, paragraph 38; Sirdar, paragraph 26, and Kreil, paragraph 23). In C-212/04Adeneler and others v. Ellinikos Organismos Galaktos IRLR 716 the ECJ pointed out that the objective grounds relied upon must relate to real and concrete circumstances concerning the work to which the contracts relate. The Court also drew a distinction between what it referred to as work which is intended to meet the fixed-and permanent needs of the employer and that which is intended to meet transient or purely temporary needs. It is the Respondent’s case that the Claimant was employed to provide cover for temporary absences of permanent staff and that the service which he provided was, by its nature, intended to meet its temporary needs. It claims, moreover, that the need to provide temporary cover is a legitimate aim and that the use of fixed-term contracts is an appropriate and proportionate response to that need. The Respondent further submitted that it would be disproportionate to require it to employ staff over and above its normal need to meet occasional and transient vacancies that arise. The Union argues that there is a permanent need for staff to provide cover for absences and that, in that sense, the work undertaken by the Claimant should be regarded as part of the fixed and permanent needs of the Respondent. In advancing that argument the Union referred to the large number of temporary staff employed by the Respondent at any time as evincing a real and permanent need for staff to provide cover for temporary absences. The Union contends that there are no objectively justifiable grounds upon which the Claimant could be denied a contract of indefinite duration. In considering the question of objective justification the type of contract to which the Claimant would become entitled if s. 9(3) of the Act were to take effect in the normal course is highly relevant. The Union’s firm position is that the Claimant is entitled to a contract of indefinite duration as a permanent full-time clerical officer on the same terms and conditions as apply to all other clerical officers in the Civil Service. In that regard it is noteworthy that in the period from 6th January 2003 when the Claimant was first placed on a panel, to 31st October 2008, when his final placement terminated, he worked a total of 187 weeks. The total number of weeks in this period was 303. Hence he was actively employed for 62% of the available time. It is thus clear that the Claimant’s employment with the Respondent was essentially part-time in nature in that he worked less hours than a comparable full-time employee when measured over a period of up to 12 months. On this point the Court adopts the definition of part-time work contained at s.7(1) of the Protection of Employees (Part-Time Work) Act 2001which is a statute inpari materiawith the Act. The decision of the High Court inMinister for Finance v McArdle ELR 165 is authority for the proposition that where a fixed-term contract transmutes to oneofindefinite duration by operation of law the resulting contract is identical to that from which it is derived in every respect other than in regard to its tenure. Consequently a fixed-term worker cannot accrue a better contract than that which he or she held on a fixed-term other than in respect to the circumstances in which the contract will come to an end. It would seem that in circumstances in which the Claimant was only employed for approximately 62% of the time of a full-time clerical officer he could not accrue, by operation of s.9(3) of the Act, a contract which would entitle him to employment in a full-time capacity. Based on this employment pattern it appears that the requirement for the Claimants services, throughout the period of his employment, was intermittent and irregular. Against that background there would appear to be real and concrete circumstances concerning the nature of the service which the Claimant provided over the currency of his employment which could amount to objective justification for not affording the him the type of contract which he seeks even if he could accrue such an entitlement under the Act. In particular, the Court is satisfied that the Respondent is pursuing a legitimate need in not recruiting more regular full-time clerical officers that are necessary for the discharge of its revenue collecting functions while maintaining arrangements for the filling occasional vacancies as they arise. Moreover, the engagement of staff as and when required is an appropriate means of achieving that objective and appears to be the only practical way in which the objective can be pursued. Accordingly, the Court is satisfied that there were objective grounds which justify the Respondent’s failure to appoint the Claimant to a permanent full-time clerical post. However, as the Court has found, the Claimant accrued a prima facie entitlement to a contract of indefinite duration by reason of the duration of his employment on fixed-term contracts. The grounds relied upon by the Respondent as providing objective justification for not affording the Claimant such a contract are valid in so far as they relate to the type of full-time post which he claims. However, the Court cannot accept that the reasons advanced as objective justification (the burden that would be imposed on the Respondent by having to employ full-time permanent staff to meet occasional and transient vacancies) could apply with equal force if, as appears to be the case, the only type of contract of indefinite duration which the Claimant could have accrued would be one which mirrored the pattern of his fixed-term employment. At the request of the Court both parties made submission on the type of contract to which the Claimant would be entitled if successful in his claim. Both parties rejected the notion that the Claimant could have a form of permanent or indefinite duration contract to provide relief cover in accordance with the pattern previously obtaining. In these circumstances the Court must hold that the by operation of s.9(4) of the Act the Claimant did not accrue an entitlement to a contract of indefinite duration in the post of full-time clerical officer. The Claimant did not accrue a contract of indefinite duration by operation of s.9(3) of the Act. The rules for teachers and their entitlement to a contract of indefinite duration are changed since the Haddington Road Agreement. You can read more about teachers and fixed term contracts here.